Imagine your own private space, far from the chaos of the city, yet right in the middle of it. Welcome to Exotica Sorento, the new luxury residential addition to Raheja Exotica, the charming cluster of villas, condominiums and apartments at Mumbai's Madh Island. A luxury masterpiece standing tall on Madh Island that redefines the very concept of sea-side homes, Raheja Exotica - Sorento takes luxury living to newer heights and indulgences to greater depths. Add to it a spectacular view of the Arabian Sea and you have one of the most envied addresses in the city of Mumbai. Offering a splendid view of the vast expanse of the Arabian Sea, Raheja Exotica is a cluster of spacious ownership villas, condominiums and modern styled apartments, designed in charming Mediterranean style. The architecture, thoughtful planning and high-end facilities have set a new standard for luxurious living in India. 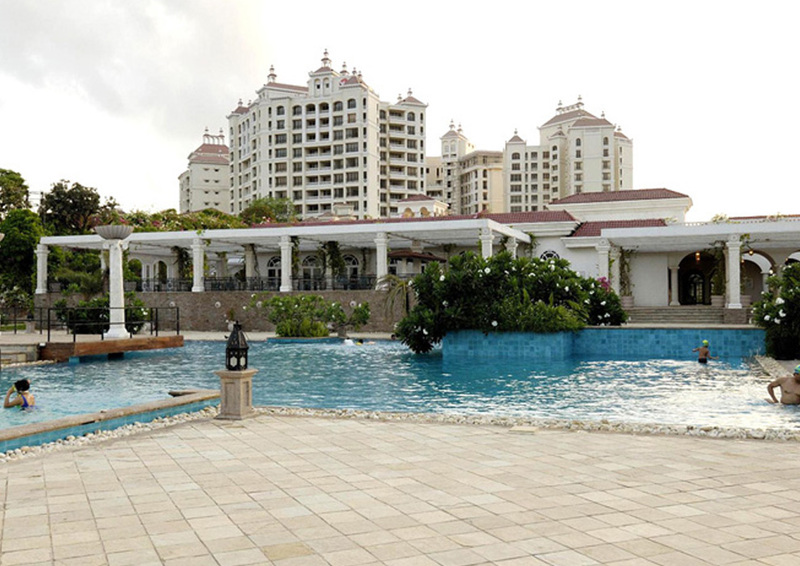 Previous developments at Raheja Exotica have all been runaway successes. Connoisseurs of fine living from across the globe have booked their space here. And now the stage is set to initiate a brand new tower in the form of Raheja Exotica - Sorento. Designed by noted architects P&T Consultants Pte. Ltd and strategically located close to Mumbai's heartland at Madh, a short ferry ride away from Versova (Andheri) and a fast drive from Mindspace (Malad), Sorento is the newest addition to the delightful ambience of Raheja Exotica. Raheja Exotica Sorento is the latest offering from Raheja Universal Pvt Ltd. Sorento is a part of the iconic project Raheja Exotica at Madh Island, Off Versova, Malad West. The beauty, charm and tranquility of Sorento literally surround you from all sides as you walk into this amazing oasis of almost 32 acres. It is almost difficult to believe that you are very much in Mumbai city. The views & sounds of the alluring sea and the pristine atmosphere here literally sweep you off your feet. The expansive club house, swimming pool, the abundant greenery and the enchanting aura that Raheja Exotica exudes is simply mesmerizing. This premium luxury project comes fully-loaded with a slew of latest lifestyle amenities and top-of-the-line facilities that include a swimming pool, sun decks, a gymnasium, a convenience store and an amphitheatre to name a few. K. Raheja Universal, the promoters of Raheja Exotica and now Exotica Sorento have left no stone unturned in ensuring that the residents of Sorento get the best in terms of modern conveniences and ease of living. Sprawling Luxurious 2BHK, 3BHK, 4BHK apartments well laid out with decks. State of the Art Club Exotica with Swimming Pool, Gym, Health Club, Gents & Ladies Spa, Games Room, Cafeteria, Multi-purpose Hall, Business Centre, Pavilion, Convenience Store and Amphitheatre and an expanse of greenery. Modern construction and luxury amenities. Madh Island Beach is one of the most famous beaches of Mumbai. Apart from being a renowned tourist spot, the beach is also one of the cleanest in the state. This beautiful beach is actually made of a cluster of little villages and farmlands situated on the North-Western coast of Mumbai. The shore is surrounded by mangroves which not only adds to its scenic beauty, but also separates the beach from the mainland. To take a break from the hustle and bustle of city life, people in Mumbai often visit this heavenly beach with friends and families. This tranquil beach also serves as an ideal venue for lavish parties hosted by Mumbai's elite society. Many Bollywood movies and soap operas have also been shot at this serene venue. A perfect destination for anyone who wishes to take a break from the city, the Madh Island Beach attracts a large crowd of people due to its calm waters and soothing scenery.